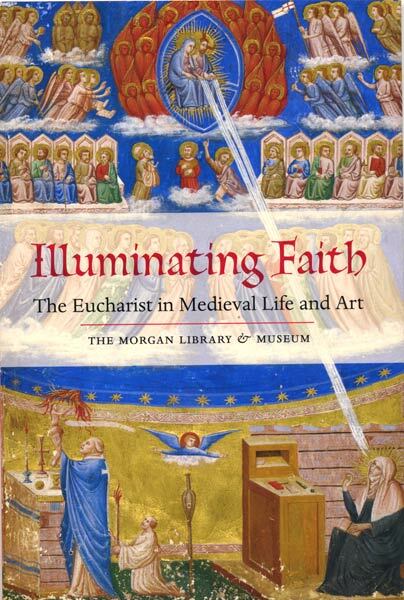 Illuminating Faith: The Eucharist in Medieval Life and Art examines the importance of the Eucharist in Europe during the late Middle Ages and Renaissance. More than sixty images from the Morgan Library & Museum’s famous holdings of illuminated manuscripts are used to illustrate the themes of the institution of the Eucharist, celebration of Mass, the Eucharist and the Old Testament, domestic devotion to the Eucharist, the Feast of Corpus Christi, and Eucharistic miracles. In 1215 the Fourth Lateran Council codified the technology of transubstantiation, which held that bread and wine are literally changed into the body and blood of Christ during the Mass. The council also required all Christians to receive Communion at least once a year. And in 1246, a new Eucharistic feast—Corpus Christi—was established. This publication explores these seminal changes and their influence on religious, cultural, and civic life. Highlights include a Preparatio and Missam that once belonged to Pope Leo X and was kept in the Sistine Chapel sacristy before being looted by Napoleon’s troops in 1798; a prayer book commissioned by the queen of France, Anne de Bretagne, to aid in the instruction of her three-year-old son, Prince Charles-Orland; and a survey of images, dating from the fifteenth to the eighteenth centuries, of the Sacred Bleeding Host of Dijon, one of the most famous miraculous Communion wafers.